“Charm is deceitful, and beauty is vain, but a woman who fears the Lord is to be praised. Give her of the fruit of her hands, and let her works praise her in the gates. It was a grueling contest. Athletes vs. Parents. Firm-bodied, agile, 14-year old girls who had been training for months, pitted against washed-up adults who wouldn’t be able to move the next day. Confident & cocky, uniformed and unified, they strutted onto the court while we sauntered on in whatever mish mashed athletic attire we could scrounge up – our daughters hoping we couldn’t find any spandex. The result? We annihilated them. It was glorious. And the best part? The coaches had my daughter present the trophy for Most Valuable Player… to me. Mothers of teen girls, bask with me in that magnificent moment. Educational. Humbling. Delicious. We took a picture and that trophy sat in my kitchen for about 24 hours before I threw it away. Not because I’m overly humble or anything noble like that. But like the fleeting little honour it represented, it wasn’t going to endure. It was only a plastic trophy from the dollar store. Some trophies are better than others. Then this great list of “solid excellence” as Charles Bridges puts it, is capped with both cause and cautions. First, we’re cautioned that it is not the woman who is charming that will ultimately stand out in the crowd. Charm can deceive and is often a convincing cover for ugly character, so there is nothing solid here. There is nothing enduring in external charades of charisma if they are only an act and not a legitimate product of godly character. Likewise, we are cautioned that it is not the woman whose beauty is primarily physical who will find herself the subject of enduring praise. Outward beauty can be leveraged for good and is never itself condemned by God. But there are a few things we should know about it before we strive to ensure it is named as one of our most distinguishing qualities. Outward beauty is a waste when it is deceitful. It is as sturdy as a breath. As enduring as a vapour. At best it is a fleeting triumph, ever threatened by sickness, injury and age. Not only are charm & beauty potentially deceptive and transient, unlike the rich character catalogue that precedes them, neither lend much value to the lives of those we are called to bless. Little more than an ornament or piece of pretty artwork to look at, charm and beauty don’t raise kids, love husbands, serve people, inspire greatness, glorify Jesus or get the tough work of life done. 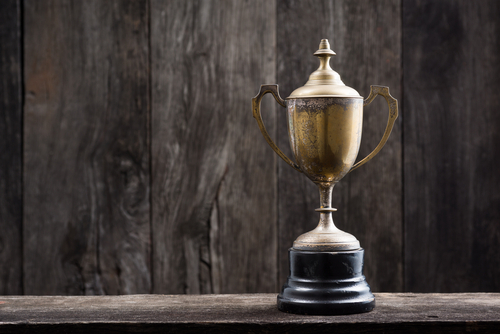 If we follow the trend of our culture and make physical beauty and surface charm the places we pin our hopes for glory, we are merely boasting dollar store trophies – momentarily appreciated but ultimately worthless. “Look at that plastic sparkle.” Said no one ever. We could be in the running for so much more. If Proverbs 31 gave us only the list of noble qualities and these cautions against lesser ones, but didn’t tell us how to become this woman worthy of praise & honour, we would have little hope or direction. Thankfully, the final verses give us what Doug Phillips calls “… the organizing factor in this brilliant woman’s universe.” Because, as we’ve all discovered by now, we don’t just become this woman by accident, heredity or sheer will power. That’s encouraging enough, but disconnected from the rest of the Bible it can sound a tad self-serving. So let me share with you my favourite discovery in this study that puts this concern to rest. The phrases “to be praised” and “praise her in the gates” come from the same Hebrew word which means “to shine.” Very cool. And herein lies our study’s connection to God’s big picture plan. By challenging women to acquire the admirable qualities of the Super Wife, God is not encouraging a nuggets-of-wisdom, self-praise-garnering morality apart from the saving gospel of Jesus Christ. He’s promoting a lifestyle that adorns it. He’s giving us the recipe for shining in a dark world. Reverence for God produces right standing with God. And right standing with God produces right conduct for God. And right conduct for God produces right results from God. And right results from God produces right praise to God. It is true that aspiring to the character beauty of this chapter enriches the lives of everyone in our care. And it is true that it will earn us legitimate trophies in the eyes of God, our precious ones that matter most and the watching public. But it is most wondrously true that the resulting, and otherwise unexplainable, beauty this character produces in our lives and relationships can’t help but shine with brilliance, pointing people to the source. And that friend, is the whole reason we are here. 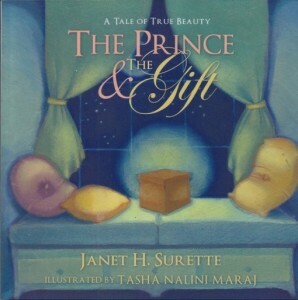 In celebration of wrapping up our Proverbs 31 study, I’m going to give away 2 copies of my children’s book, The Prince & The Gift which is based on today’s verses. If you share this post or subscribe to the blog, I’ll enter you into the draw. Easy-peasy. Just comment below or message me telling me you have shared or subscribed and I’ll be sure to include you! Thank you for bringing Gods’ Word and instruction to last weekends’ conference at Monadnock Bible Conference Center in Jaffrey NH. Truly my mind and heart so took benefit and now to read and absorb even more from your blog. Wow does my mind well. I have immediately started on the Noble Woman you talked about at conference and look forward to reading the other enteries. Again from the bottom of my heart thank you for sharing with us woman. Love and prayers for You and your family ! Hello Cheri – the pleasure was truly mine. What a lovely group of women assembled at Monadnock a few weeks ago! The excitement and receptivity to that material was delightful to see and I have since prayed that all our families and communities would be strengthened by the character beauty that we are able to shine-forth because of the Holy Spirit’s work in our lives. Thank you for your encouragement and prayers – I am always appreciative of any that come our way!